Join us as we travel across Yukon to photograph Northern lights, Canadian Wildlife and Autumn Landscapes. This photo tour crosses off many bucket list items. 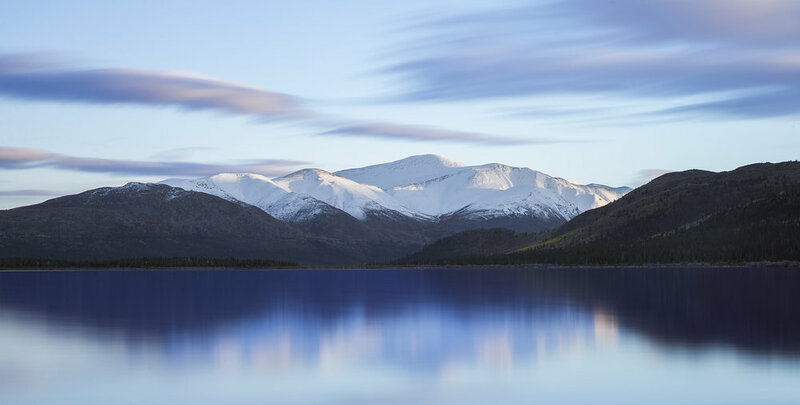 The Yukon, a territory in northwest Canada, is wild, mountainous, covered by a vast coniferous boreal forest and a network of glacier-fed alpine lakes and rivers. In this sparsely populated area we will begin our journey - travelling along the southern reaches of the Yukon, and into northern British Columbia to photograph wildlife, mountain landscapes, beautiful fall colors, and the night sky emblazoned with spectacular Northern Lights. Our forays each day and night will take us to the best locations for amazing photography. Chances are great that after you first experience the Northern Lights dancing all around you and reflecting in quiet lakes, you may say that you’ve already gotten your money’s worth from this trip! Day Three: After breakfast we are off to the southwest part of the Yukon. 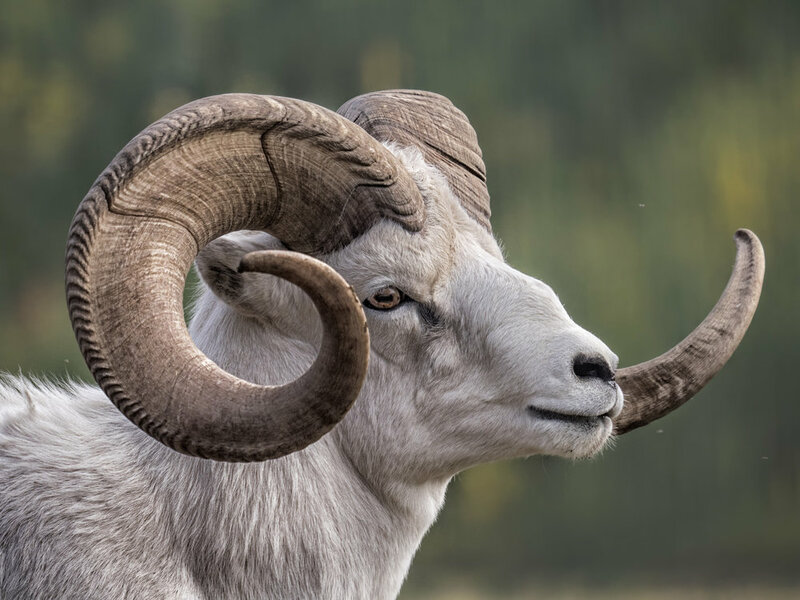 Our drive along the Alaskan Highway is not only picturesque but offers opportunities to stop to photography wildlife. Deer, Elk and Coyote are common animals seen from the road in the fall months. Our destination is Kluane National Park, where you will witness glacier-fed lakes surrounded by some of the tallest mountains in the St. Elias range. We will stop along the way to photograph many different mountains, rivers and lakes. Going off the beaten path allows us a unique glimpse into areas not typically seen by visitors to Yukon. Once in our destination of Haines Junction, we will be greeted by stunning views of a beautiful mountain range right from the front door of our hotel! Day Four: We get an early start to the day to photograph mirror lake reflections with snow peaked mountains. 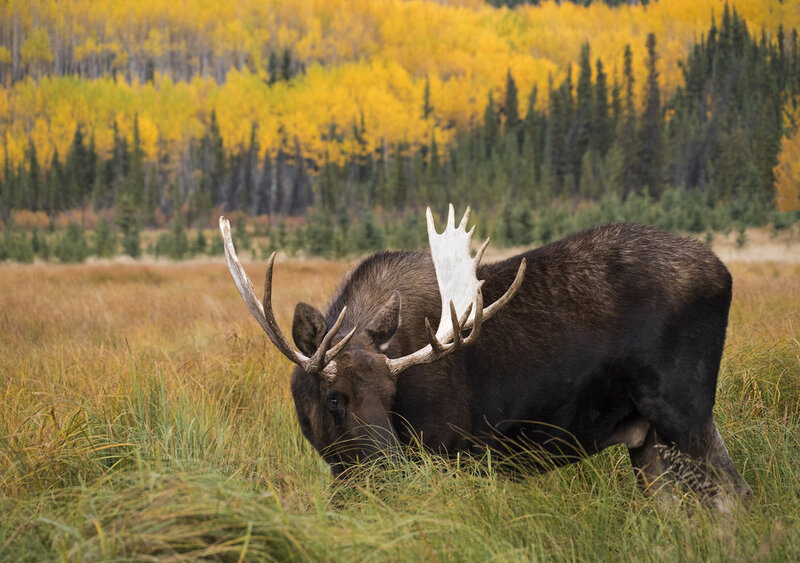 On our way, we will drive through low-lying marsh areas where moose are often seen along with surreal fog, low pines and mountain backdrops. On our drive south into British Columbia, we will pass through some amazing landscapes - tundra, barren lands, small trees and rocky mountains. But just as quickly, and over one hill we will be back into boreal forest with snow peaked mountains. 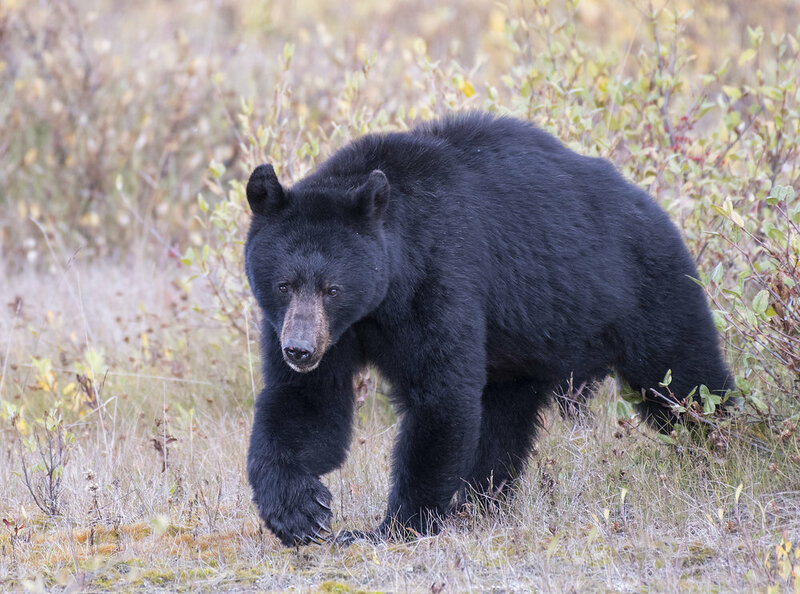 This area has been quite successful in past trips for spotting wildlife such as moose, black bear with cubs, northern hawk owls, grizzly bear and coyotes. Day Five:After breakfast we head south, down the South Klondike Highway, between Whitehorse and Skagway. Carcross, home of the World’s Smallest Desert and the great beach of Lake Bennett is our destination. The population of Carcross is about fifty percent Native and fifty percent Non-Native. Tourism is a very important component of their economy. Our travels then take us to Atlin, British Columbia. This small town is truly unique, surrounded by aquamarine glacial lakes and impressive mountain peaks. Although Atlin is located in northern British Columbia, the only access road is through the Yukon. Along the way we will photograph pristine lakes and a series of gorgeous waterfalls. Included: Lodging, transportation, all breakfasts and dinners, snacks and water during the day. Not Included: International airfare, daily lunches if you wish to eat, alcohol, items of personal nature, gratuities, laundry, anything not listed as included.